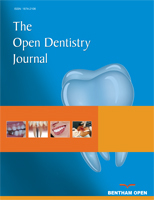 The aim of this study was to evaluate the apical sealing ability of Total Fill BC sealer and AH Plus sealer with single cone and continuous wave condensation obturation techniques using dye extraction leakage method. Eighty-four extracted human single-rooted teeth with round canals were decoronated at 12 mm length and instrumented using crown down technique with the iRace rotary file system to apical file size 40 with 0.04 taper. The roots were randomly divided into four experimental groups (n=20). Group (A1) contained roots which were obturated with Total Fill BC sealer with a single cone. Group (A2) contained roots which were obturated using Total Fill BC sealer with continuous wave condensation. Group (B1) contained roots which were obturated using epoxy resin sealer (AH Plus) with a single cone. Group (B2) contained roots which were obturated using AH Plus sealer with continuous wave condensation. Apical microleakage was assessed with dye extraction method where the absorbance of leaked 1% methylene blue dye was measured using a spectrophotometer. The absorbance values were converted into concentrations, and the data was analyzed using One way ANOVA test. The mean dye concentration values were 0.012, 0.016, 0.011 and 0.015 for Group A1, Group A2, Group B1 and Group B2, respectively. One-way ANOVA indicated no significant difference in dye leakage between the investigated groups (F = 0.938). With the limitation of the study, it was concluded that Total Fill BC was equivalent to AH Plus in apical sealing ability when using single cone or continuous wave condensation. The single cone can provide a similar apical seal of canal filling as can be achieved by using continuous wave condensation methods, in the round canal. Keywords: AH plus, Dye extraction, Sealing ability, Single cone, Total fill BC, Endodontic Sealer. © 2018 Salem et al.